Home Blog Why Does the U.S. Have Fewer Bilinguals Than Other Countries? Does the U.S. Have a Problem with Foreign Language Learning? American has a long-standing problem prioritizing foreign language programs. We are continuously behind what feels like the rest of the world in terms of how many of us are bilingual or multilingual. Just recently, universities throughout the U.S. reported a sharp decline in the study of foreign languages. But why does America struggle to learn foreign languages? Why is it so uncommon for people to try and find out how to study Russian or any other language? Both employers and medical researchers have outlined the benefits of learning a second language. Your bank account and your overall health can benefit from knowing two or more languages. And yet, despite that, Americans continue to ignore its importance. You’re more likely to find a Nintendo Switch than a Russian language book in most people’s homes. The reason for this rests in American culture and attitude towards learning foreign languages. How Many Americans Only Speak One Language? 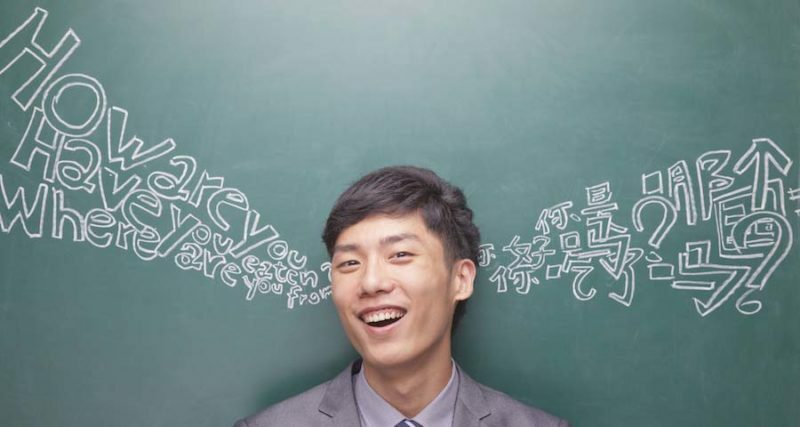 While many people believe 80 percent of Americans are monolingual, that’s not exactly true. This number is typically pulled from a 2013 survey from the Census Bureau, the title of which is “One in Five U.S. Residents Speaks Foreign Language at Home, Record 61.8 Million.” Those numbers aren’t great even though they are an improvement to 2010 survey. The problem with this survey, New York Times article points out, is that that it asks if families “use a foreign language at home.” Not many people do in the U.S. English is the more popular choice. The data is then interpreted that Americans aren’t as bilingual as other parts of the world. But this is misleading, even though the reality is probably a number only slightly higher. Knowing a second language and speaking a second language at home are two different things. Many people may use a second language at work, but go home and speak English to their families. Or many families may have multiple children who are studying various languages they cannot use to have a conversation with at home. And what about people who know another language, but not enough to be fluent? When we take all these other variables into account, does this make us better off than we thought? Not really. The truth is that America’s population follows a significant trend towards monolingualism compared to other countries. This is despite America’s perception as a source for diversity and immigration. Several obstacles contribute to this, and America will need to overcome them to increase its population of bilingual speakers. With other countries, there’s a huge motivator to learn multiple languages. If you live in Germany, for instance, you’re surrounded by other countries who speak different languages. And in your country, there are pockets, vast regions, where the neighboring country has influenced part of your own. This isn’t a great argument against learning foreign langauges, however. We live in an increasingly globalized world. It’s getting harder and harder every day to ignore the reality that other cultures do exist, rich interesting cultures with different langauges. And as technology increases and the cost of travel decreases, the reality that you could be traveling to another country or working in one goes up drastically. On top of that, if businesses want to stay competitive, they’ll need to hire more and more bilingual people to work for them. International relationships and trade are the future of business success. Simply not living near another country, doesn’t mean people won’t ever work with companies from them. And yet when you look at other countries, you’ll see a very different understanding of language learning. Speaking a foreign language is the norm. They don’t glamorize it. They don’t see it as otherworldly. It’s merely something one does when they’re in school. Their society expects it of them. It is true that the American education system is not perfect. And language learning departments receive even more criticism, perhaps unfairly. While other departments are fighting for a majority of the funding, many people seem to scoff at Foreign Language departments or worse, ignore them altogether. While in the States, many people recollect the horror and frustration brought on by their foreign language classes that ultimately ended in failure, most Europeans successfully learn more than one language in similar classroom settings. It may be that American foreign language classroom instruction needs a thorough overhaul, but we live in a world where you can easily access the resources necessary to teach yourself to do anything. Blaming shotty classroom instruction doesn’t fully capture the picture. Why Do Americans Struggle with Learning Languages? When it comes down to it, Americans tend to overthink the process of learning a foreign language. We often see it as something we were forced to do. Many of us struggled with it, and we developed a culture of excuses around the idea that we botched our first attempts. The reality is that Americans are no different than any other group when it comes to being able to learn a foreign language. With the right tools and mindset, it’s completely possible. Statistics show that America is becoming a multilingual country. More people speak Spanish in the U.S. than in Spain. And the number will continue to grow. Be careful not to misinterpret the data though. More people may speak Spanish, but fewer people are studying languages in general. Our systems in the U.S. aren’t set up to prioritize language learning like they are in other parts of the world, and until our culture moves towards a greater appreciation of language learning, the U.S. will continue to lag behind others. It isn’t all doom and gloom, however. By cutting down on the belief that learning a language is an unnecessary or unattainable skill that only the select, gifted few have, we can make active progress towards developing more multilingual people. We can also take steps towards falling in line with the rest of the world in understanding the importance of developing fluency in foreign languages.